Welcome back to our channel! 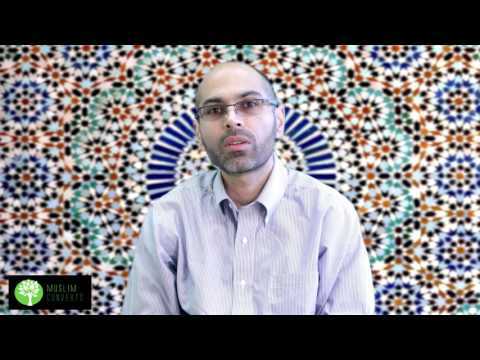 In this lesson, we will be looking at the concept of life and death in Islam and how it is directly connected to the idea of guidance in Islam. The purpose of our creation is not simply belief in Allah. If belief in Allah is all that counts, then there is no reason for Iblīs or the Devil to be cursed by God. The purpose of human existence, and the ultimate preparation for the Hereafter is to establish a healthy and good relationship with God. By purifying our souls and having a good relationship with Allah, we find salvation. In this world, we learn from our mistakes, we face problems and learn to overcome them. By learning to tame our desires and our egos, we purify our souls and open them up to the Light of God. The purified soul or heart is the only thing that counts in the next life. Without belief in life after death, one cannot purify the heart. Denial of the after life results in nihilism. Nihilism is a world view where there is no ultimate purpose or meaning to anything. Without belief in the Hereafter, morality becomes totally subjective and spiritual progress becomes completely meaningless. If there is no Hereafter, all of morality becomes inconsequential. Spiritual progress also becomes meaningless for it leads to no where. The spirit only has value if it it can live beyond the lifespan of the body. As life is a test, death is the end of the test. It is when people need to put their pencils down and hand back their exams to the invigilator. Death, according to Islam, is not a tragedy in the strictest sense. Some people complain that death is evil. How can God allow the death of a young person? Should not the person have the chance to live a longer life? If life stopped in this world only, that statement might have been true. But true life, that is, eternal life, begins after the death of our bodies. Death in this world is not evil, it is merely the end of a test and the beginning of eternity. As the Hereafter is eternal, it is all the more important that we take advantage of our short time here to lead the best possible life in the next. [For such is the state of the disbelievers], until, when death comes to one of them, he says, “My Lord, send me back that I might do righteousness in that which I left behind (i.e. in that which I neglected).” No! It is only a word he is saying; and behind them is a barrier until the Day they are resurrected. So when the Horn is blown, no relationship will there be among them that Day, nor will they ask about one another. Historically speaking, many of the Prophet's companions became moral people after they learnt about the Hereafter. This demonstrates that often enough, the lack of belief in the Hereafter leads to an immoral life. As Dostoevsky once remarked, if God does not exist, everything is permitted. Here is a question that people often ask. We know how belief in life after death benefits us in the next life but how does it benefit us in this world? Genuine belief in the Hereafter brings peace and happiness in this world. Think about it, if you know that you will only live a few years in this life (half of which is spent in sleep) and that eternity awaits you in the next, few things can sadden you in this world. This is because you know that in the long wrong, your short lived suffering is nothing compared to the eternal bliss that awaits you. It is like waiting in line and being uncomfortable, but being mentally at ease for you know that in a few minutes you will be out of the line and on the way to where you want to go! In fact, even thinking about hell is a therapy for humans for it belittles any tragedy that this world has to offer. Although in our minds we know that one day we will die, our hearts are often not convinced. We suffer much as we subtly believe that we’re going to live forever in this world and by extension, suffer forever. Understanding and really grasping the impermanence of this world and the reality of death is freedom from the temporary suffering of this world. morality that is produced by the human mind and is limited to human experience in this world only. What is the meaning of life in Islam? What is the meaning of death in Islam? What is the purpose of human life in this world? It is to establish a good relationship and friendship with God. Is belief in God and performing rituals enough in order to pass the test of this life? No, one must also lead a proper moral life? What are the consequences of not believing in life after death? It leads to nihilism where nothing has ultimate objective purpose or meaning. The absence of ultimate meaning and purpose is the strict definition of nihilism.